Like our ancestors before us, the heavily debated topic of land or water continues to create a divide in history, evolutionary arguments and society as we know it. How can you argue against land? It’s a solid surface, houses beautiful architecture and is where the majority of us spend our time. On the other hand, how can you put down water? It makes up about 71% of the earth’s surface, provides endless amounts of resources and not to mention fun. Our ancestors, and the animals before us, had to make this life or death decision not knowing the outcome. Unlike them, we have the ability to enjoy both! Unfortunately, our audio luxuries have been stuck on the land side of the argument. Accessory Genie says NO MORE! 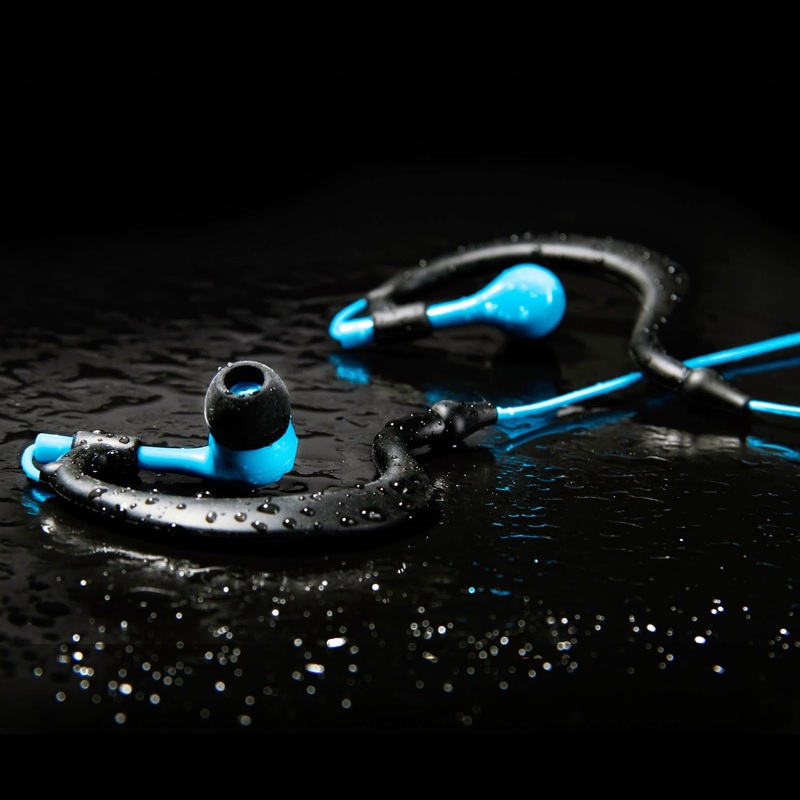 Introducing the GOgroove AudiOHM H2O Waterproof Sports Headphones. We no longer have to make that choice – don’t put your headphones in that position! The GOgroove AudiOHM H2O Waterproof Sports Headphones with IPX 8 certified waterproof rating and flexible sports earhooks allows for maximum comfort and a secure fit while you’re exercising, playing sports or simply relaxing by a jacuzzi. The certified IPX8 rating protects against your sweat, and can even protect against rain, mud or the occasionally submersion into water. Whether you’re training on water or on land, the earhook support system was designed for keeping these earbuds securely attached to your ears. The swivel design and ear-hook system combine together to offer maximum adjustability for all ear types. Customize the length and angle of the earbuds until you find the perfect fit. Head on over to www.accessorygenie.com now to grab your pair of GOgroove AudiOHM H2O Waterproof Headphones today!